You might not have realized it with the modest size of the Kravis Center audience Thursday afternoon, but a major American symphonic ensemble was there in West Palm Beach, making beautiful and fascinating music for an appreciative house. The Chicago Symphony Orchestra, which hasn’t toured her for more than a decade, offered two very different programs in its stay, on Wednesday night featuring new music by Jennifer Higdon (Concerto for Low Brass) along with a Brahms symphony (No. 2) as the major works. Thursday afternoon was, if anything, even more eclectic, with two different soloists: the CSO’s chief clarinetist, Stephen Williamson, in the Mozart Clarinet Concerto, and the rising French mezzo-soprano Clémentine Margaine, singing the now rarely heard Poème de l’amour et de la mer (Poem of Love and the Sea) by Ernest Chausson. In both of these works, it was clear there was a superlative orchestra in the house, and that was true also of the opening work, Verdi’s overture to his opera I Vespri Siciliani. Unlike some of his other overtures, La Forza del Destino in particular, I Vespri is somewhat choppier, with something more akin to sonic tableaux than sonata form. But it makes a great impression, and the special glory of this performance was in the fatness and the power of the winds in the opening section, with their gloomy, sinuous theme; the snap and force of the lower brass in the tempestuous massacre-music section that follows; and after that, the rich, beautiful tone of the cellos singing out the melody of the Act III duet of Montforte and Arrigo. 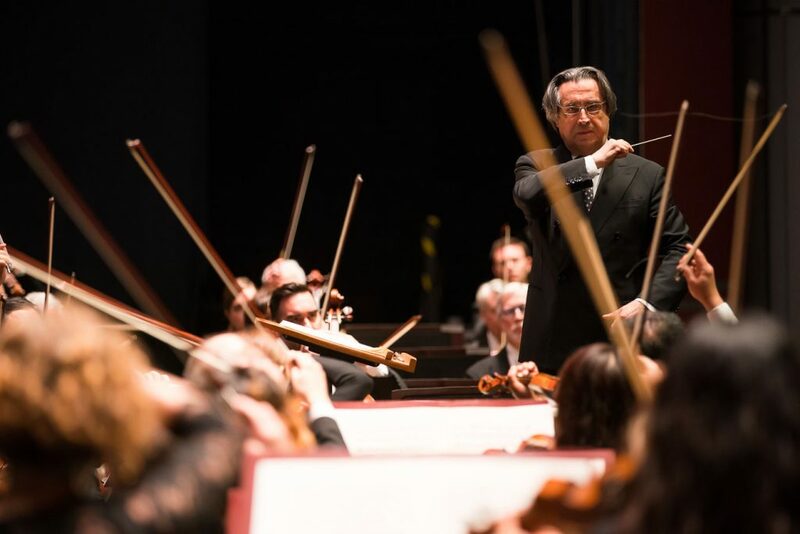 The CSO’s music director, Riccardo Muti, led this with quiet, precise beats, business-like and forceful, never having to add his own demonstrativeness to the high drama of the music. It was a precise and sinewy performance, and like all good opera overture readings, conjured up dreams of seeing the whole opera at the earliest possible opportunity. The Mozart Clarinet Concerto (in A, K. 622) is so central to the licorice stick literature that it can be truly said a career as a clarinetist would be much less conceivable without it. It is not just a work that brilliantly shows what the clarinet can do — a feature even more evident in a performance on the basset clarinet for which it originally was written — but it is also a great example of what a superior concerto of any kind should try to accomplish. Williamson, who held principal clarinet chairs at the Metropolitan Opera Orchestra and the New York Philharmonic before coming to Chicago, has a stellar pedigree and an equally stellar sound: It’s incredibly smooth, with big, round tone coming out of the instrument at all times and with one very slight exception, nary a squeak to be heard in the high registers. What you get with Williamson’s reading of the concerto is a definitive approach; one gets the impression that he is trying to play it as perfectly as he can. In the early going of the outer movements, Williamson seemed to be arguing for a slightly faster tempo than he was getting from Muti and his colleagues, but that soon sorted itself out as both entities came to agreement. The slow movement, too, was not overly slow but serene and steadily moving, very much like the opera aria it could have been. Besides the glowing tone and the spotless technique, this performance of the Mozart was notable for its softer moments, when both soloist and orchestra dropped the decibels to the kind of hushed sound that can only grow naturally out of musicians communicating, and not as an effect carefully pre-planned at rehearsal. If this rendition of the concerto was gorgeously played (and it was) it may also have been too polished. One missed some of the wit and impishness of Mozart, particularly in the finale. Yet it was still delightful to hear, and the Kravis audience jumped to its feet at the close, giving Williamson several curtain calls (you can bet there were plenty of former high school band clarinetists in that appreciative throng). The second half opened with the Chausson work, which unhappily is something of a rarity these days. Music of the Cesar Franck school – d’Indy, Chausson, Duparc, to name three — appears to be out of fashion, at least in the United States, so the scheduling of this fine and subtle work came as a welcome treat. Margaine, who sang the title role in Bizet’s Carmen at the Met last season and will sing it again in the current season, has a busy career on the stages of Europe, where she’ll be doing operas by Donizetti and Ravel as well as the Bizet heroine this year. The Chausson, which was first performed in 1893, is a three-part cantata, for lack of a better word, in which two poems by the now-obscure writer Maurice Bouchor are separated by a dark orchestral interlude. This is slow music, voluptuous and sensual in a free-flowing Wagnerian manner, and at the same time the influence of Charles Gounod can be heard in the precision of its periods. Its text of lost love is suffused with extravagant nature imagery, and yet it stops just shy of decadence. Margaine has a wonderfully dark mezzo, haunting and large, and she suffused this rapturous work with palpable commitment. 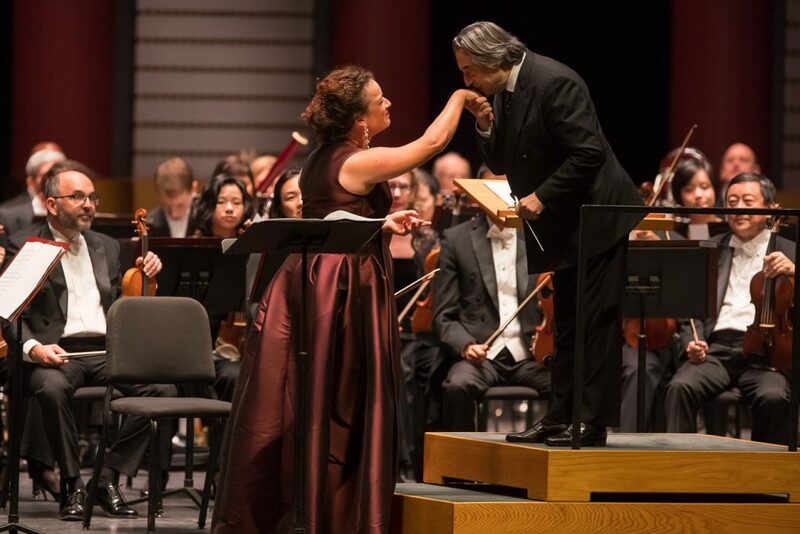 Indeed, Muti managed to apply restraint to this ripe music, keeping the orchestra in a supporting role while still loosening the reins just enough at the climactic moments. Like the Mozart, the considerable beauties of Chausson’s writing were brought out in a reserved, almost chaste manner. Margaine’s singing was lovely and strong, Muti and the orchestra were ideal partners, and the overall effect of the performance was a projection of absolute elegance. I had to leave for another appointment after the Chausson, and wasn’t able to stick around for the closing piece, the Four Sea Interludes from Benjamin Britten’s opera Peter Grimes. They would have been an excellent follow-up to the Chausson, and I’m sorry I had to miss them. 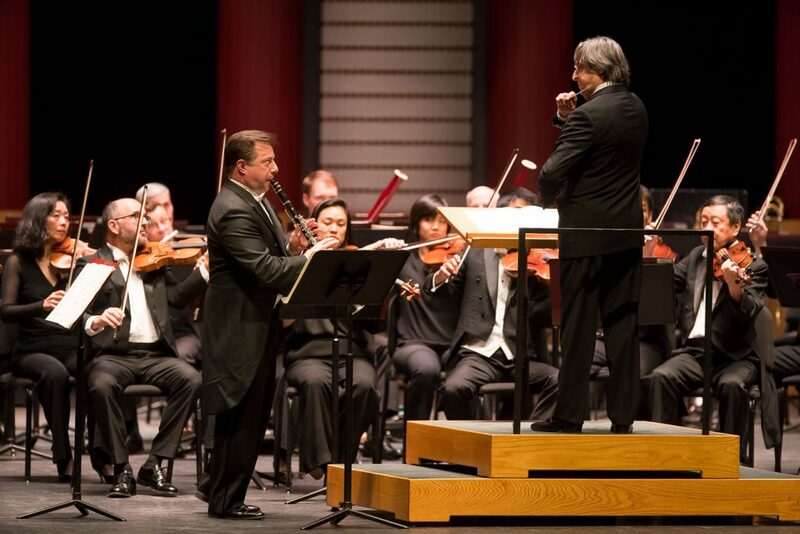 The consolation prize is that the CSO will be back in the Kravis Center at this time next year, with Muti leading an all-Russian program of Tchaikovsky and Rimsky-Korsakov. It will be well worth the wait.